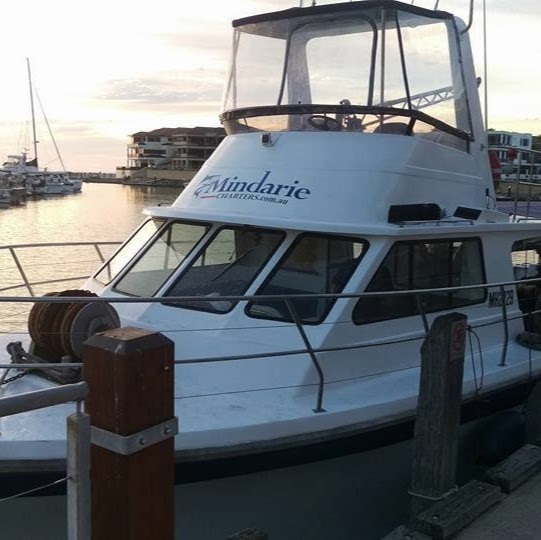 We meet at Mindarie Marina (on the harbour wall at the front of the Dome Cafe) at 5.45am for a 6am departure. 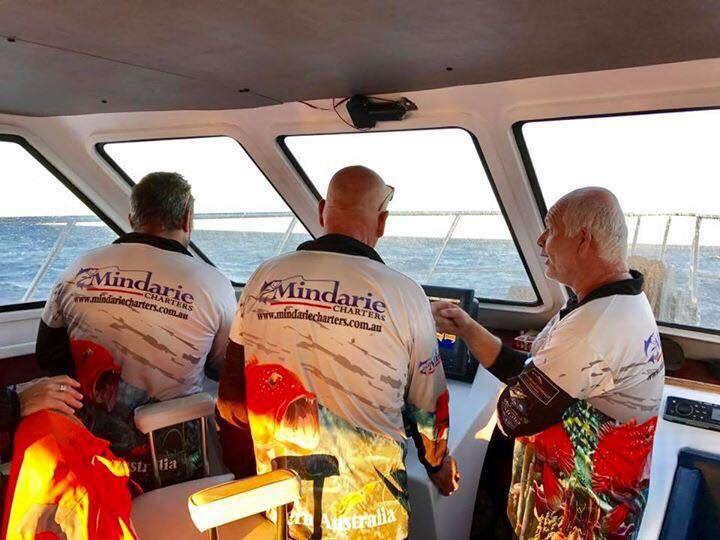 Make yourself comfortable and enjoy a sausage sizzle breakfast whilst we prepare your rods and bait and head about an hour offshore towards Direction Bank. Our skilled and experienced crew will target Snapper, Baldchin Groper, Breaksea Cod, Samson Fish and the elusive Dhufish. During the summer months we may see Tuna or Spanish Mackerel about the surface. If we do, we will slow the boat and drag surface lures. 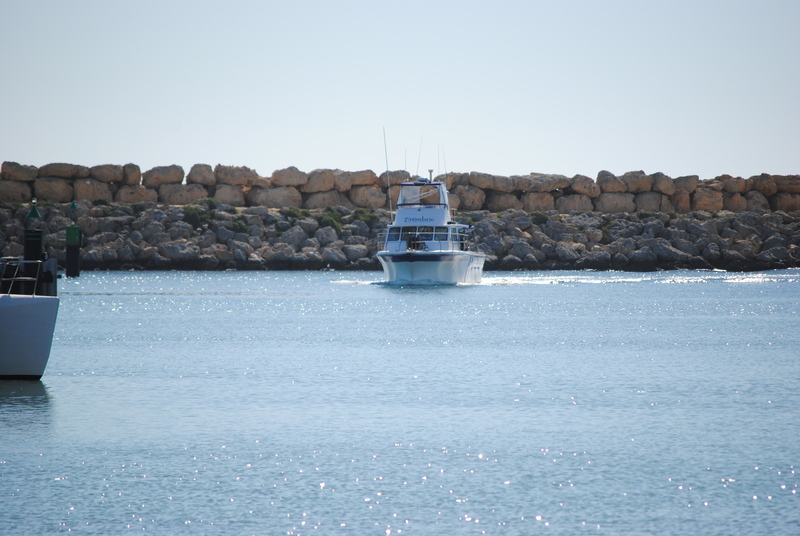 Once back at Mindarie, we’ll fillet and bag your catch ready for you to take home and cook up a storm. Our day also includes lunch and soft drinks/water all day. Make yourself comfortable and enjoy a sausage sizzle breakfast whilst we prepare your rods and bait and head about an hour offshore towards Direction Bank. Our skilled and experienced crew will target Snapper, Baldchin Groper, Breaksea Cod and the elusive Dhufish. During the summer months we may see Tuna or Spanish Mackerel about the surface. If we do, we will slow the boat and drag surface lures. If you’d prefer we can go jigging for the mighty Samson Fish. You are more than welcome to BYO alcohol; we’ve got plenty of eskies and ice to keep things cold. If you have other ideas or requests, please ask. If we can, we will! Cruise across to Rottnest with the chance of catching sight of a whale (seasonal) then relax either on the island or in one of the many bays, whilst we take care of lunch. Enjoy the snorkelling, swim in the crystal clear water or simply sunbathe on deck. You choose how you enjoy your day. This trip is great for family gatherings, mates wanting a day of fun or bucks/hens do. 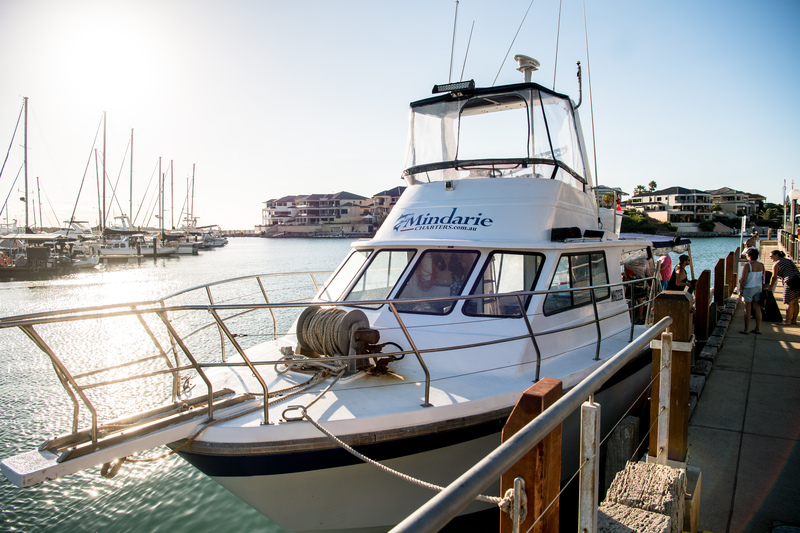 Departing from and returning to Mindarie, this is an all-day adventure you won’t forget. Have you been put in charge of organising the company Christmas Party? Come fishing with us! Bring your group of up to 15 people. The beauty of an Exclusive Use Charter is that the boat is yours for the day. If you have other ideas or requests, please ask. If we can, we will!